Mr. Glass is a pretty formidable foe for David Dunn in Unbreakable. And the super villain returns this weekend in M. Night Shyamalan's Glass, a movie that has been almost twenty years in the making. But is the very breakable Mr. Glass one of Samuel L. Jackson's favorite roles of all time? On The Tonight Show, the acclaimed actor, who has appeared in every genre ever and some of the biggest movies of all time, was asked by Jimmy Fallon if he could pick his five favorites. That's actually asking quite a lot, as it turns out. 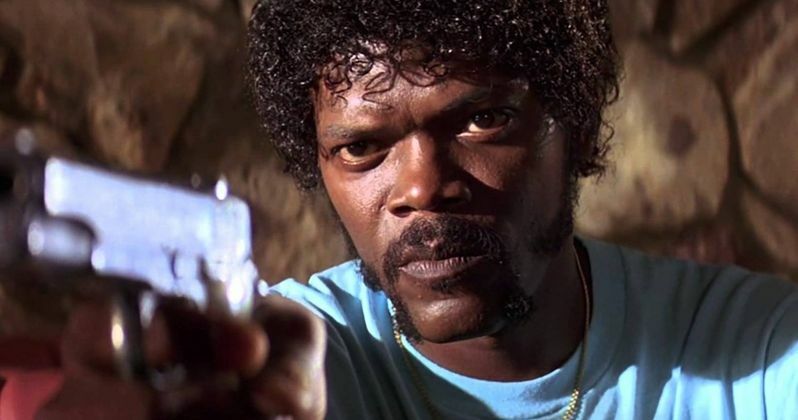 Samuel L. Jackson has over 100 screen credits to his name, and he's played some of the most iconic characters ever created. So how does he narrow that down to just 5 roles? Well, he kind of didn't. But he gave it his best try after asking Fallon, 'Just five?' With a true look of concern on his face. He, however, accepted the challenge, and the first name he mentioned may be his most iconic character of all time. Nick Fury of the MCU. Fury was last seen in the post-credit teaser at the end of Infinity War, setting up the action that we'll see in this summer's Avengers: Endgame. We'll actually be seeing quite a lot of Nick Fury this year. First, this March, Samuel L. Jackson takes the second lead in Captain Marvel, opposite Brie Larson as Carol Danvers, the most powerful superhero in the universe. He'll then return from the dust pile of Thanos' Decimation in Avengers: Endgame. And as we saw earlier today in the first Far From Home trailer, he will also play a huge part in the next Spider-Man movie, which teams the agent with Peter Parker on a trip aboard. Nick Fury won cheers from the Tonight Show audience. For his second choice, he couldn't just go with one character. He decided to lump all of his Quentin Tarantino roles into one big batch, citing his turns in Pulp Fiction, Jackie Brown and Django Unchained. Yes, Jules Winnfield, Ordell Robbie and Stephen all got a shout out, and rightfully so. "They're all cool characters who have their own things going for them and I'd hate to tear them apart." Perhaps just as iconic as Nick Fury is the character of Mace Windu, who appeared in all three Star Wars prequel movies before meeting his demise in 2005's Revenge of the Sith. Though both George Lucas and Samuel L. Jackson have confirmed that the character survived, and have pretty much declared that as canon, though the new Star Wars regime has never chimed in on that just yet. Seeing as how Samuel L. Jackson lumped three different roles together at one time, he jumped over his second place spot, and went right to the ultimate winner, Mitch Hennesy, whom he played in the 1996 thriller The Long Kiss Goodnight. About the role, Jackson says this. "I love that movie, man. I had such a good time with Geena Davis." Mr. Glass didn't get mentioned as one of Samuel L. Jackson's favorite roles, but perhaps that's who he wanted in the number 2 spot? You can see Sam in the sequel this weekend as Glass opens in theaters across the country. You can watch Sam Jackson reveals his favorite characters on The Tonight Show in the clip below.